This bright, air-conditioned room overlooks the garden. The bright and spacious Twin Rooms Garden View have 2 single beds, a flat-screen TV with a DVD player. Each room comes with a modern, private bathroom including free toiletries and slippers. Wooden floors and white linens are part of the modern décor. 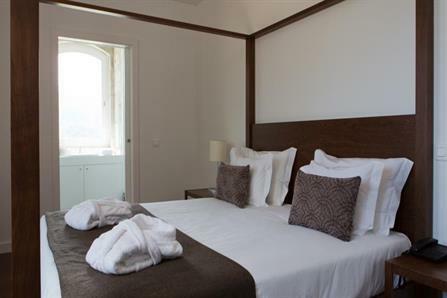 This spacious, air-conditioned room overlooks the mountains of Cidadelhe. The bright and spacious Twin Rooms Montain View have 2 single beds, a flat-screen TV with a DVD player. 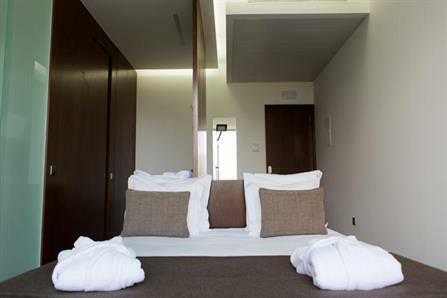 Each room comes with a modern, private bathroom including free toiletries and slippers. Wooden floors and white linens are part of the modern décor. The bright and spacious Superior Double Rooms have 1 double bed, a flat-screen TV with a DVD player. Each room comes with a modern, private bathroom including free toiletries and slippers. Wooden floors and white linens are part of the modern décor.